The perfect backdrop to Instagram the burgers at Oval. All photos by Pauline Egge. Pauline Egge of , one of Popupla's 24 Best Travel Blogs and Websites 2014, has an amazing eye for design. She just moved from Rotterdam to Barcelona last year, and has already pulled together her stylish guide to the Catalan city. Here are ten of her favorite places to eat and Instagram. BARCELONA – The first time I visited Barcelona was in 2009 for a Dutch travel magazine. My task? 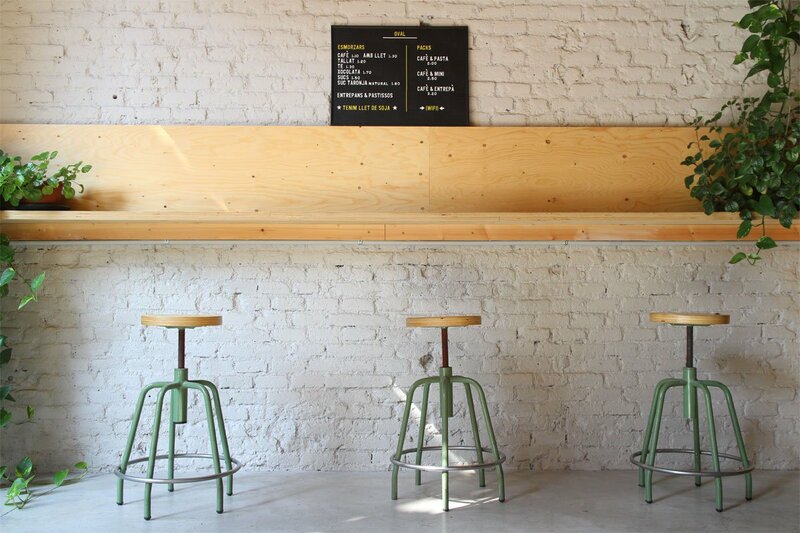 To find the cool, new spots in upcoming areas such as Poblenou and El Raval. When I walked through the beautiful, sunny city, I couldn't imagine that I would move here one day. But then I met my boyfriend who lived here. I have now been in Barcelona for almost a year and I love the sun, the beach, the creativity, the food, the beautiful Art Deco buildings in l'Eixample. Every week a cool new place opens its doors, and every time it looks like something you haven't seen anywhere else. 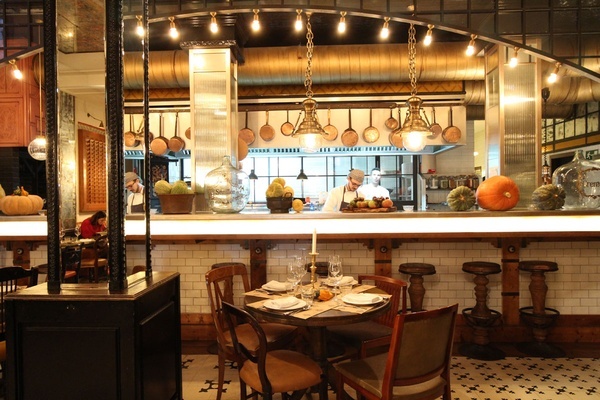 That's why my favorite restaurants are not just great for the food, but also for their stunning interiors. Tapas with a side of people-watching. In a side street of the famous Ramblas you'll find Bar Lobo, a good restaurant with a nice terrace. Lobo means wolf in Spanish and inside they have a huge wolf sculpture created out of white funnels. When you're here, you order tapas. My favorites are atun tataki, tuna with guacamole. And I think their patatas bravas are the best in Barcelona. There's nothing better than having lunch or dinner on the beach. Gallito is my favorite restaurant in Barcelona. Not only because the stuffed chicken and the gazpacho (for hot summer days) are so good, but especially for the view of the palm trees, the surfers, the beach, and the sea. Bright lights at Federal Cafe. 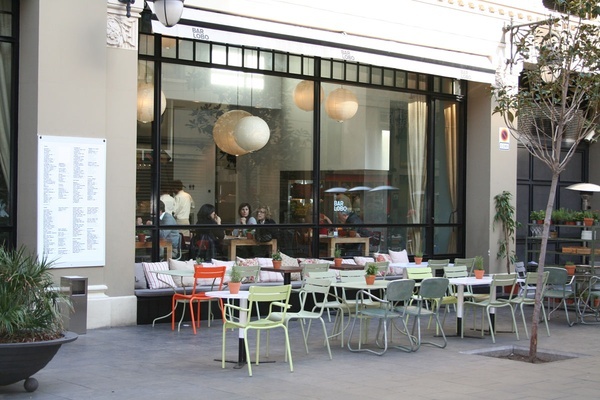 Years ago two Australians opened Federal Café in the Sant Antoni neighborhood. 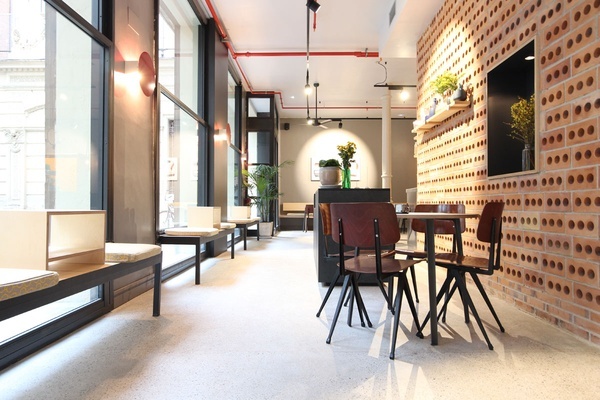 It was such a success that they recently opened a second location on a quiet square just off the Ramblas in the Gothic Quarter (Passatge de la Pau 11; +34-932-80-81-71). The original café has windows that open fully and a cozy rooftop terrace. They have delicious dishes on the menu and healthy juices, making it a great breakfast spot. It's all about the fish. Go during lunch from 2 p.m. on weekdays and order the menu del dia. You get three courses, including excellent sushi and a glass of wine for just 14 euros. The terrace is also really nice. It's an open kitchen at Toto. I get more "thank you" mails for my Toto recommendation than any other; everyone has a great experience here. The decor is glamorous and festive; the food is very good (don't forget dessert!). In the evening you start with a gin and tonic at the bar and after that, at around 10 p.m., you're going to your table and dining with the Spaniards. You can also come for lunch; they have a very good menu del dia. Cornelia & Co is located directly across the street from and is very close to Rambla de Catalunya, a shopping street with Muji and Zara, among other stores. Basically it's an upscale deli where they cut the meat in front of you and you can have a look in their fridge full of delicious cheese. You can eat here, of course, but I liked to come here for gastronomic souvenirs. Scandi aesthetic at Muy Mío. You will have to work a little harder to find the tucked away Muy Mio. It is a small restaurant that is very popular on Pinterest because of its fine interior. 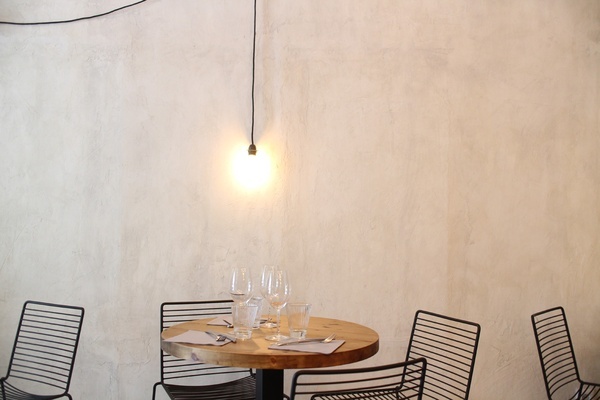 A little bit of Scandinavia design with Spanish cuisine in Barcelona. They have a quiet terrace and they will serve your dog a special gin & tonic (also known as water). A truly hidden gem despite being located in the touristy Gothic Quarter, a district with all kinds of narrow streets where you get lost easily. This is where you will find the best coffee in town, as well as great sandwiches and soups. Vibrant Mexican colors at Nino Viejo. Albert Adria, the brother of Ferran Adria of El Bulli, just opened two restaurants in the Sant Antoni and Poble Sec neighborhoods. 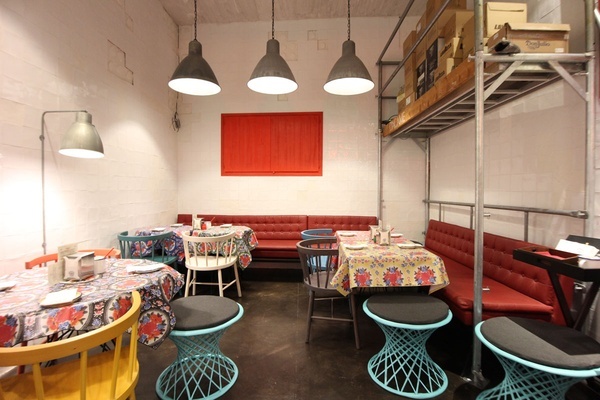 The latter is Niño Viejo, which is a typical Mexican taqueria in cuisine and design. You can expect tacos and ceviches cooked at top level, because the chef is from Mexico and worked at El Bulli. Sometimes you just crave a tasty burger, and my favorite in Barcelona is at the super decorated Oval. You customize your own burger via a list that asks favorite meat, sauce, bread, and other toppings. Muy delicioso! For more adddresses in Barcelona, . The digital city guide for the design-minded traveler has the best addresses, with a useful online map, in three categories: Eat, Shop, and Stay. Other destinations include Amsterdam, London, New York, and Los Angeles, with more to come. Pauline is a journalist in the Netherlands and owner of the blog . You can follow her on , , , and . She travels for the design spots.